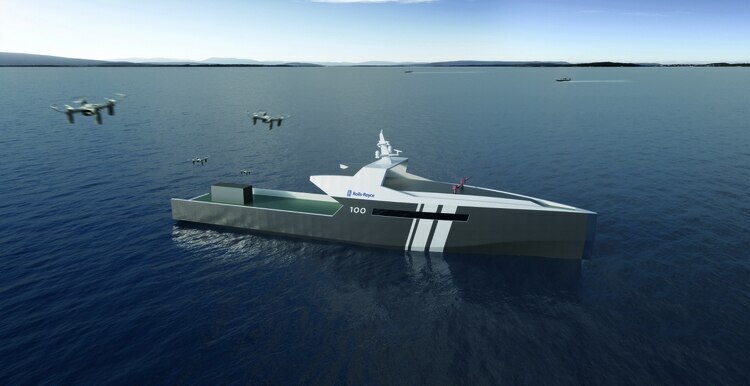 British firm Rolls-Royce has announced plans to develop an autonomous robot naval vessel with a range of 3,500 nautical miles. The ship sounds conceptually similar to DARPA’s Sea Hunter robot sub-chaser. The design may feature a full-electric propulsion system with two Rolls-Royce MTU 4000 Series gensets, or small gas turbines. Thrusters will make the vessel highly maneuverable, and solar panels will provide backup energy.